2ndRoof is a multi platinum production duo based in Milan, composed of Federico Vaccari and Pietro Miano. Their remarkable ability to consistently anticipate the hottest sounds in rap and hip hop, have made them amongst the most in-demand producers in Italy. And with 5 tracks on the newly released "Vero" by Gue Pequeno (with whom they’ve worked for over seven years) their status and influence can only continue to increase. While their sound is always distinct (with certain sounds being now synonymous with the 2ndRoof name), they are equally renowned for their non stop evolution and innate understanding of each artist’s needs, who just this year have included Jake la Furia, Emis Killa, Fedez, Gue Pequeno, and Rocco Hunt. Though neither their tastes or abilities are limited, having co-written with Emis Killa “Che Abbia Vinto o No,” the theme song for the highest grossing film of 2014. Recently, And as the official producers of Maruego (Carosello), they are responsible not only for his sound, but for his swift emergence onto the national scene. 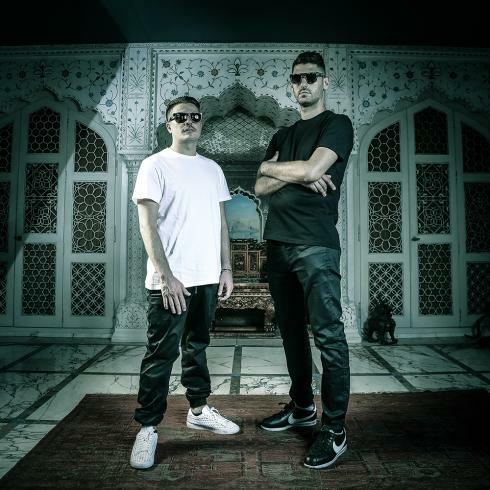 Both Federico and Pietro spend much of the year abroad, between LA, Miami, and the UK, where, backed by their label BMG, they have numerous projects underway.